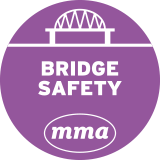 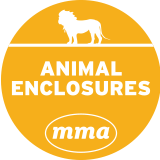 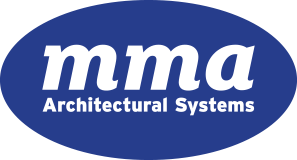 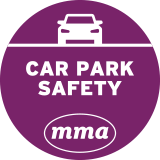 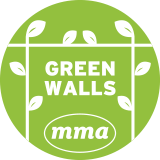 MMA Architectural Systems Ltd supplied safety and anti-suicide materials for four car parks at Peterborough’s Queensgate Shopping Centre. 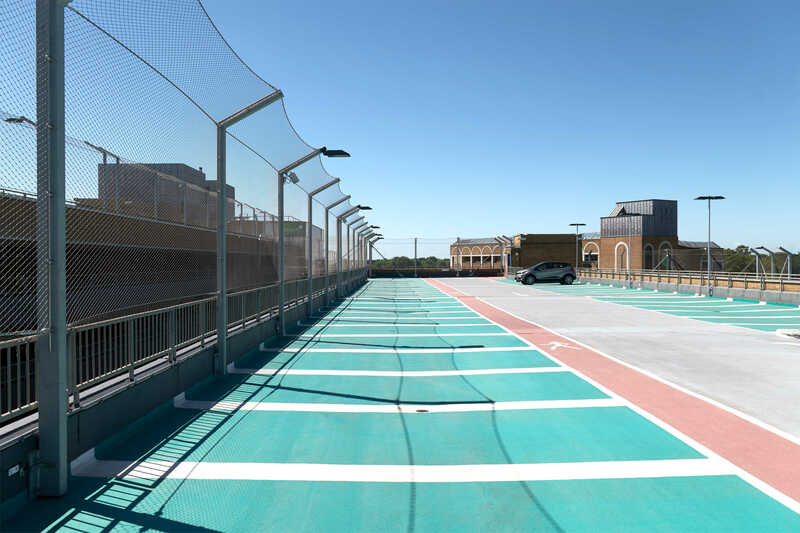 Owners and operators of the centre, Invesco and Lend Lease, introduced the new car parks as part of a major extension, which also saw the opening of new shops, a restaurant hub and multi-screen digital cinema. 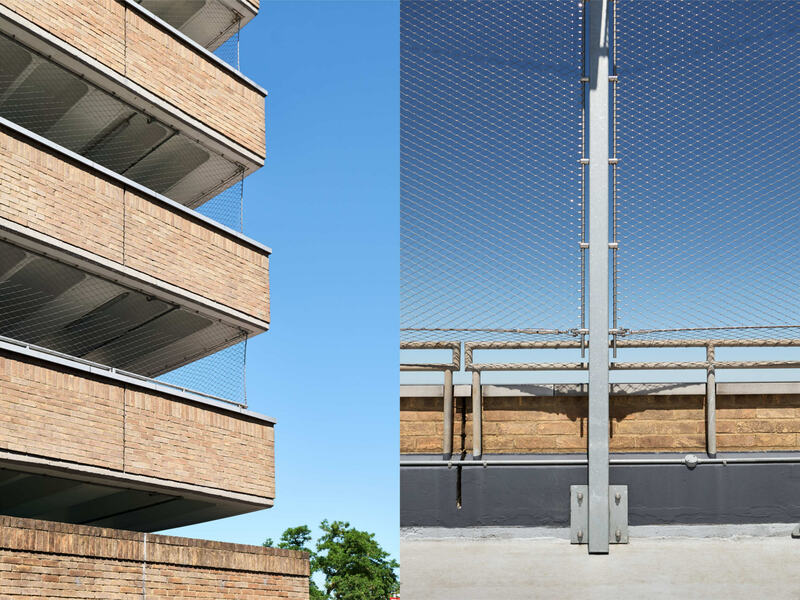 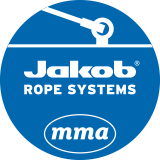 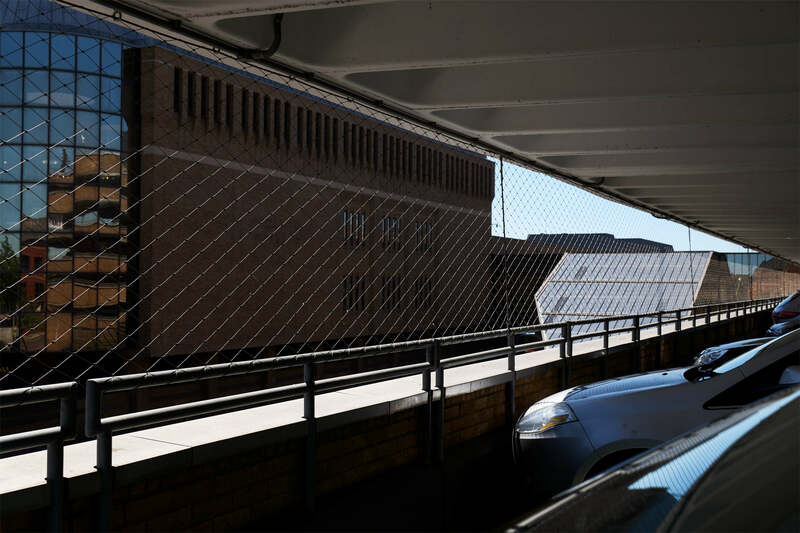 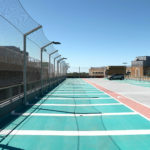 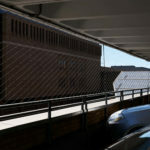 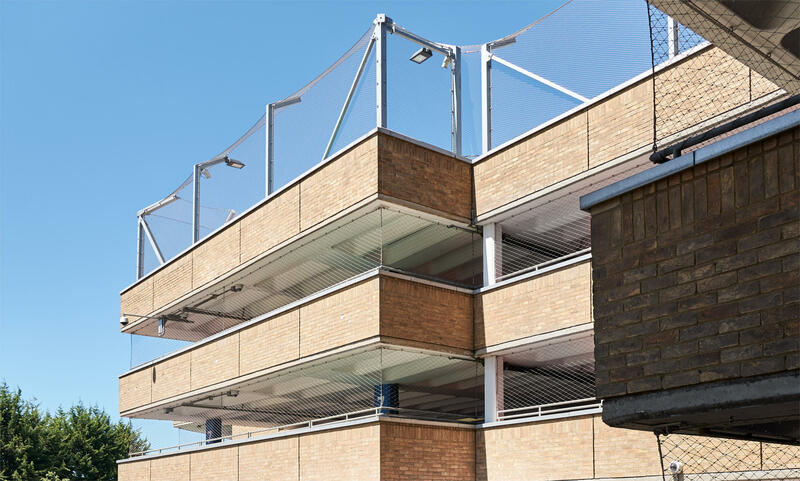 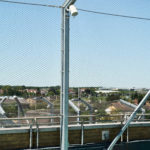 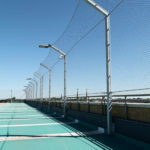 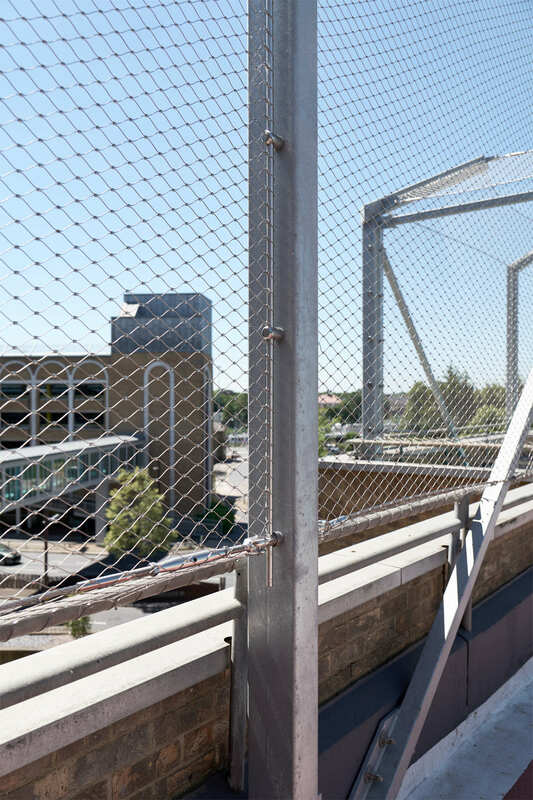 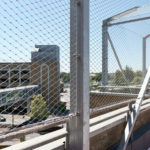 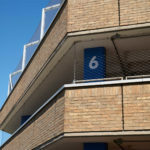 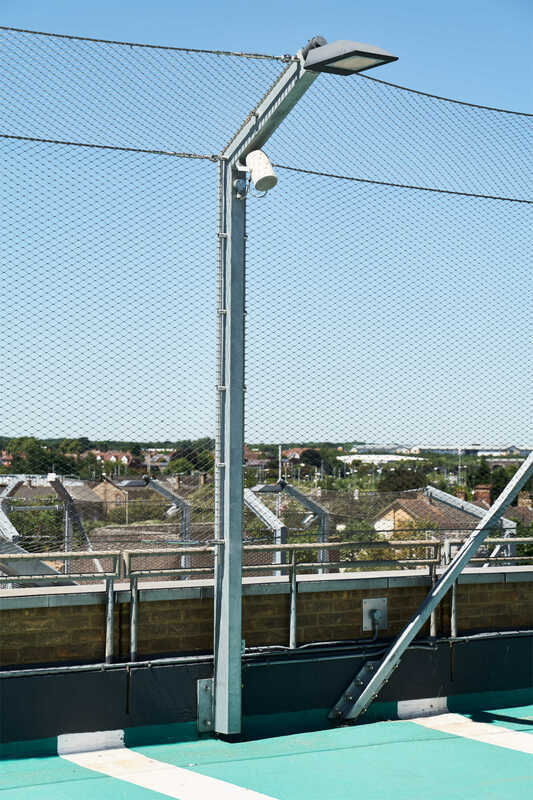 Over a six-month period, we installed approximately 5,000m² of Jakob Webnet, which provides safety and security for the car parks’ openings, providing a secure and robust barrier to prevent unauthorised access in to the buildings or accidental falls out of them. 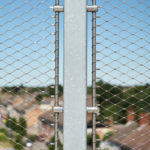 Webnet also provides a highly effective suicide prevention measure, acting as an important deterrent – the area unfortunately having become known as something of a hotspot for suicide attempts. 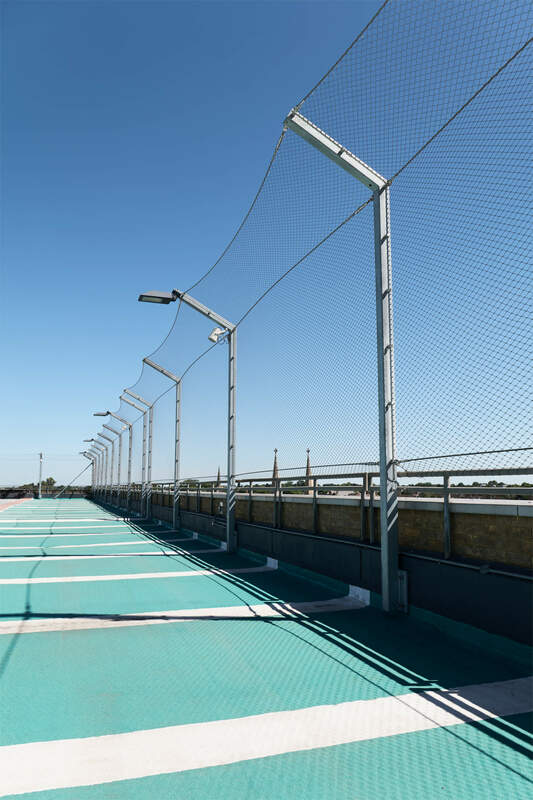 Proven in projects across Europe, Webnet was the perfect solution for this project’s requirements, given its high strength, low maintenance and aesthetic appeal. 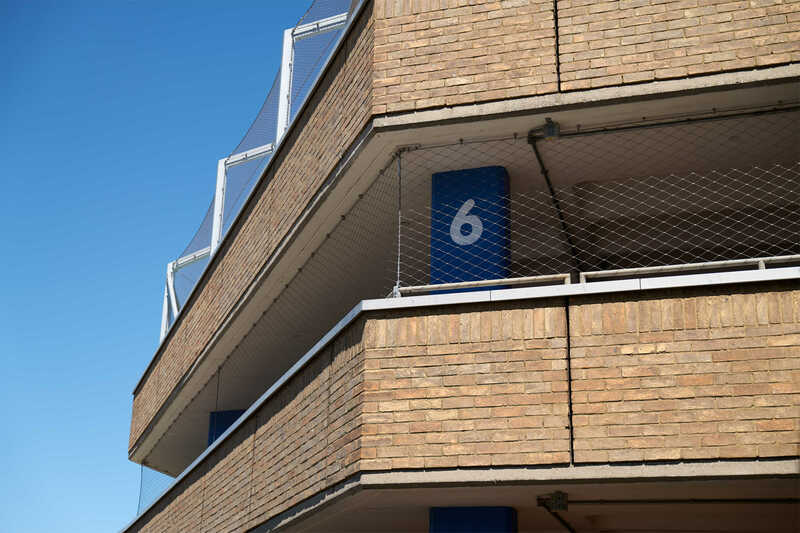 Its flexibility also meant that our installation teams were able to easily cope with any awkward or unusually shaped openings. 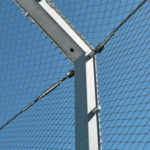 Webnet provides a durable, elegant solution for projects of all scale, scope and complexity. 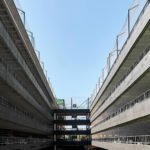 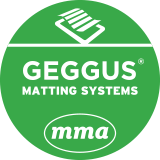 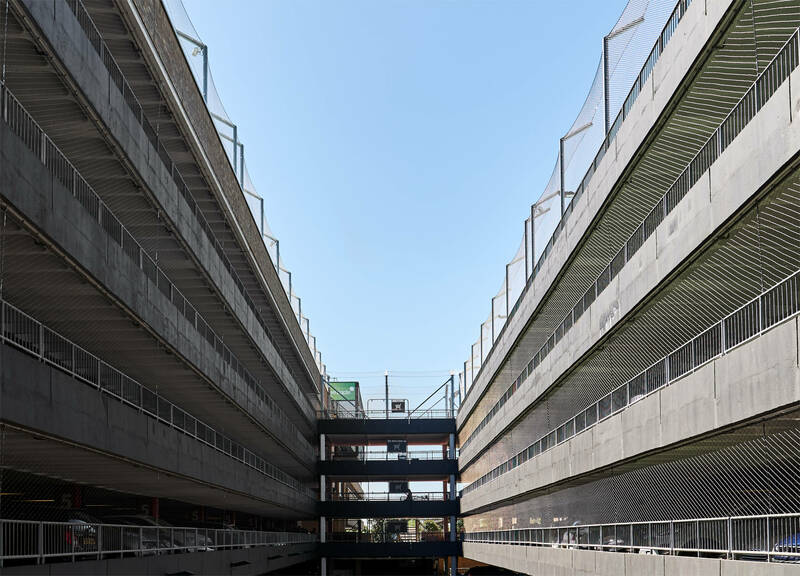 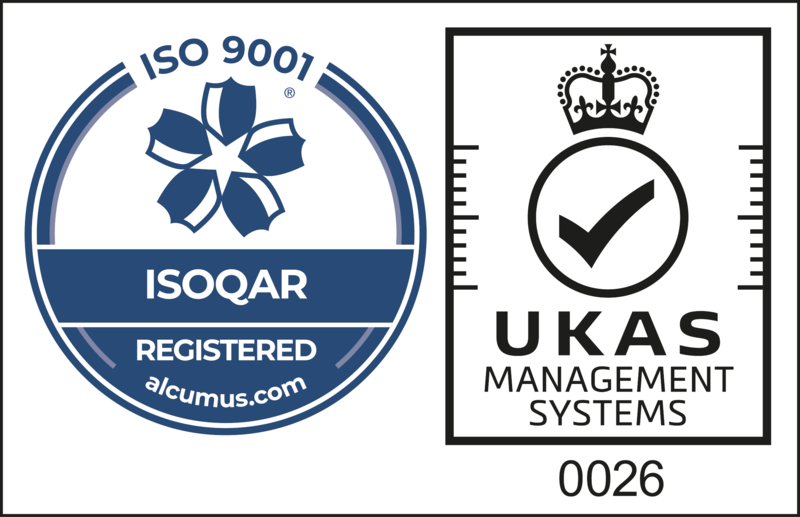 For car parks in particular, the system enables buildings to be fully-enclosed, while at the same time allowing natural light in and a natural flow of air to be maintained. 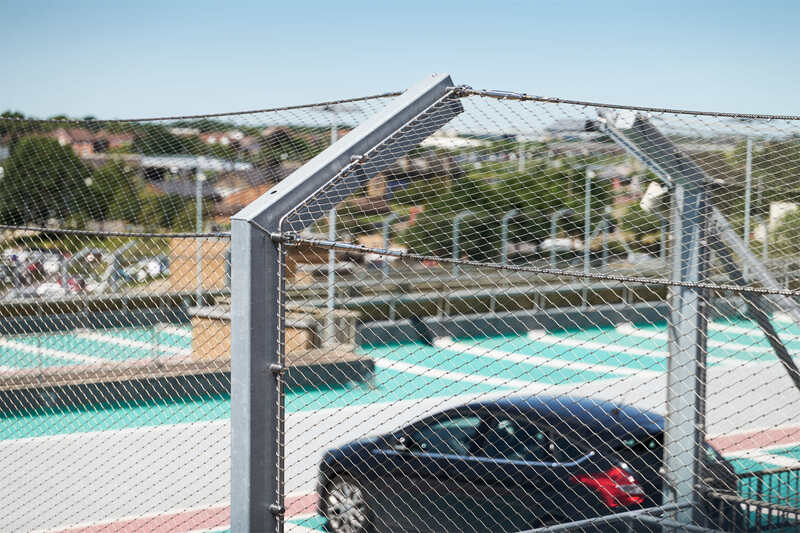 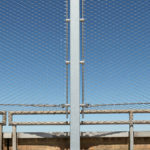 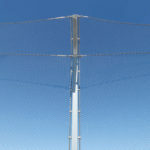 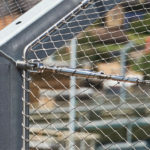 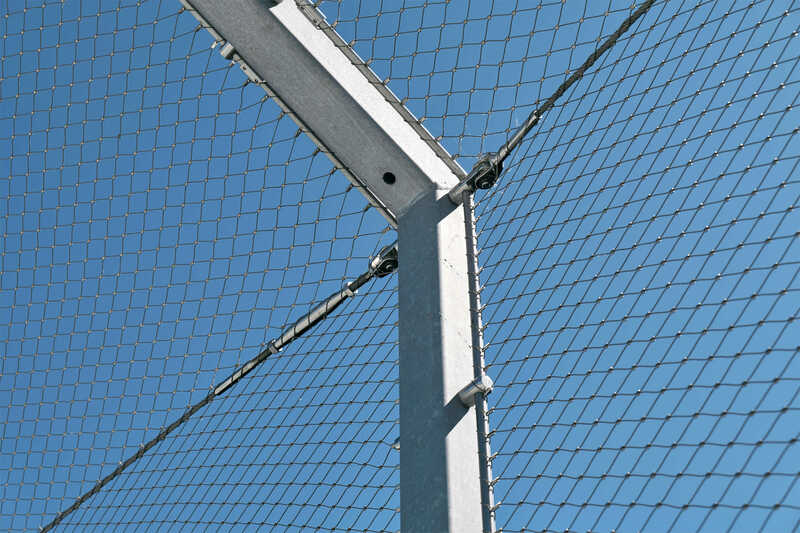 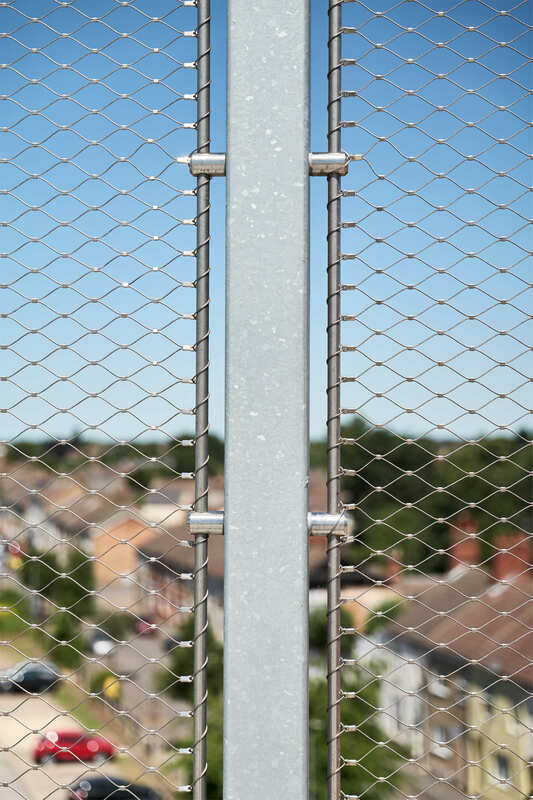 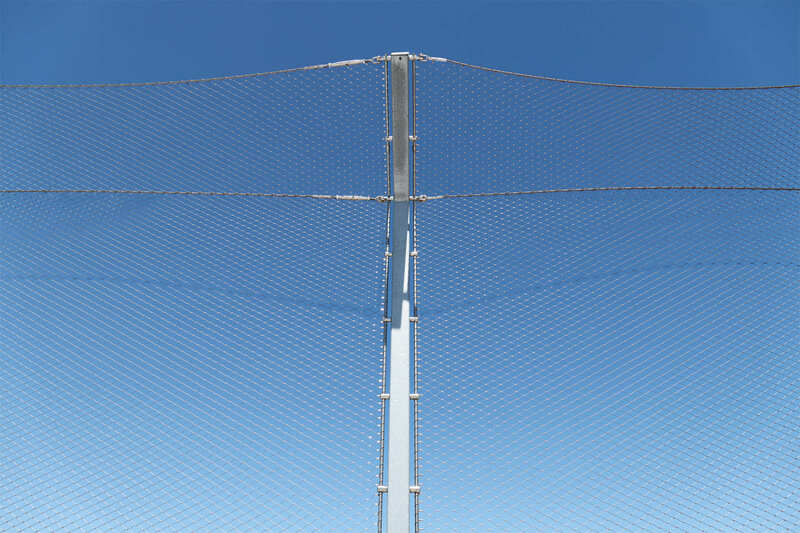 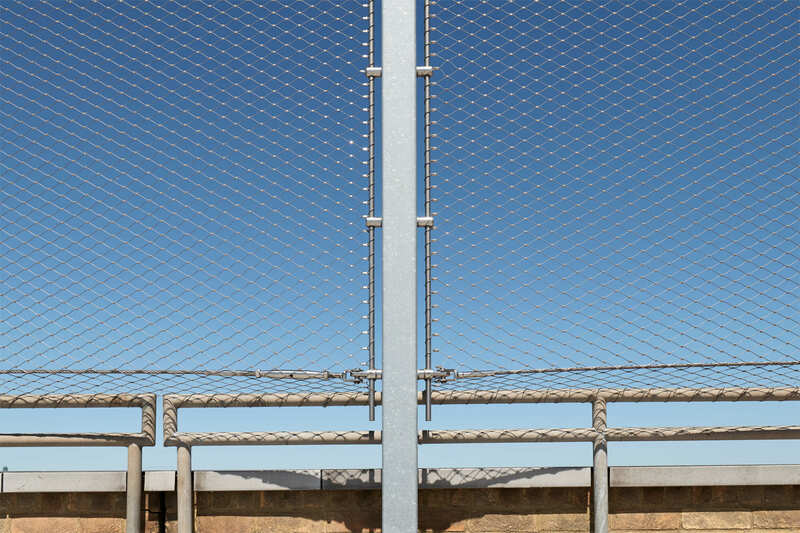 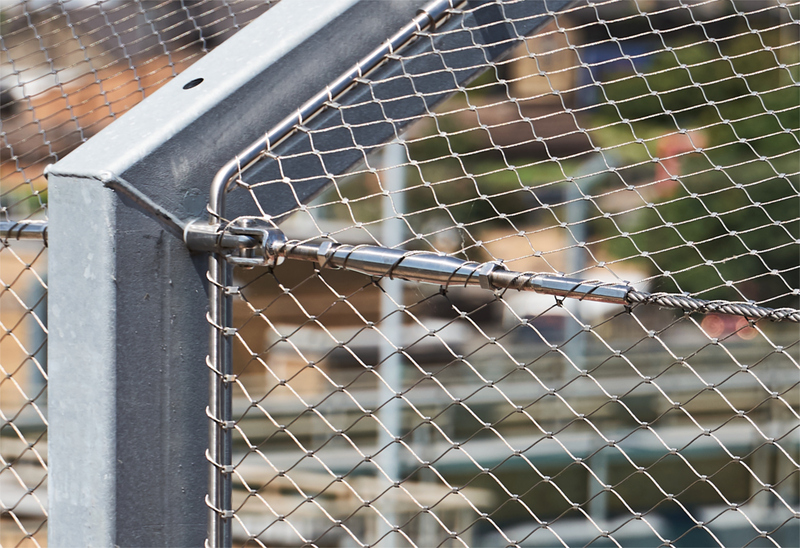 And as Webnet is manufactured from 316 stainless steel, both durability and longevity can be achieved without in any way compromising safety or security.